A patron of the the Museum of Arts and Design in New York City will be able to exclaim “Oh! You Pretty Things” as they stroll through a new exhibit honoring singer David Bowie. The feature is called David Bowie, Artist and it aims to set things straight in accordance with his major work output vs. concentrating on his controversial personal life. In a statement MAD states they want to “expand past his notoriety as a musician” and concentrate on “the too-often-overlooked diversity and multifaceted nature of Bowie’s total artistic output”. Highlights of the exhibit include rare interviews, kiosks showing music videos and concert footage as well as screenings of his films including The Hunger and a new print of The Man Who Fell to Earth. The retrospective opens May 9th and runs until July 15. This summer, the Museum of Arts and Design is proud to present David Bowie, Artist, a multi-platform retrospective re-framing Bowie’s daring, multi-discipline career as that of an artist working primarily in performance. 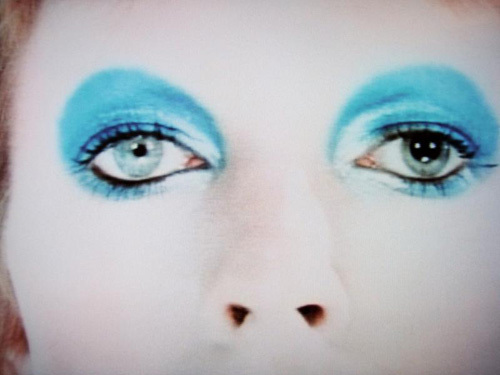 From his roots in such performance-based practices as cabaret, mime, and avant-garde theater, to Ziggy Stardust, his revolutionary tour that synthesized theater, music, and contemporary art into a rock spectacle, as well as his innovative video collaborations, and his work in cinema and theater, David Bowie, Artist presents Bowie as one of the most iconoclastic cultural producers of the 20th century. Presented as a multiplatform retrospective— including cinema series and interactive kiosks —David Bowie, Artist will presents a layered and shifting body of work that has continually innovated practices throughout a multitude of cultural spheres.